Hypodontia (missing teeth), is a congenital condition which is characterized by one to five missing permanent teeth (not including the third molars/wisdom teeth) due to lack of development. Hypodontia is a type of tooth agenesis, a common developmental anomaly involving the absence of teeth. Almost half of all children who are missing primary teeth will also have permanent teeth that do not develop. The teeth which are most commonly missing in hypodontia are the permanent maxillary (upper) lateral incisors (next to the two front teeth), followed by the upper and lower second premolars. Hypodontia is more common in girls than in boys and may also be accompanied by another dental anomaly in which some of the teeth that do erupt are small and/or cone-shaped. Most cases of hypodontia involve only one or two missing teeth and can be well managed with orthodontics and restorative dentistry. What Causes Hypodontia (Missing Teeth)? Hypodontia is usually the result of a problem with the band of tissue under the gums (dental lamina) where the teeth form. The most common cause of these problems is heredity or family history. A mutation of one of the specific genes which help form the dental lamina properly can lead to hypodontia. Both genetic and environmental factors believed to contribute to hypodontia occur during dental development. Cleft lip and/or palate: Hypodontia often occurs in conjunction with cleft lip or palate with more severe clefts increasing the incidence of hypodontia. Certain genetic conditions: Individuals with Down Syndrome and Ectodermal Dysplasia are more likely to have hypodontia. Environmental influences: Radiation, allergies, chemotherapy, toxic epidermal necrolysis, or exposure to polychlorinated biphenyls (PCBs) may contribute to hypodontia. 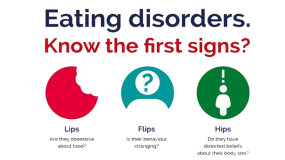 Low birth weight: Especially in cases of twins, a lower birth weight can increase the danger of presenting with hypodontia. Infectious illnesses: Hypodontia can occur if a patient has had an illness such as rubella or candida. 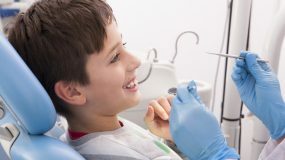 If your child has a permanent tooth that does not erupt within a reasonable time, your pediatric dentist will likely utilize dental x-rays to determine the underlying cause. Treatment for hypodontia depends largely on how many teeth are absent and the location of the missing teeth. In cases of one or two missing teeth, orthodontics alone can sometimes close the gap left by the missing teeth. This is similar to many orthodontic treatments in which teeth are removed to reduce crowding, then dental braces move the teeth into proper position. Orthodontics may also be used to create a space if another tooth encroaches into the gap and needs to be moved to allow for a dental implant. 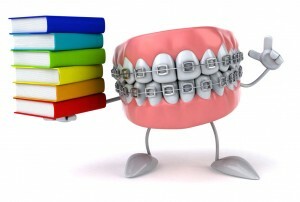 After orthodontic treatment, some filing/shaping may be performed so that the teeth will appear more uniform. When several teeth are missing, or the location of the missing tooth requires it, your dentist may recommend one or more dental implants. A dental implant consists of a titanium post that effectively acts as a tooth root and is surgically placed in the jawbone beneath the gum as a permanent replacement for the missing tooth. 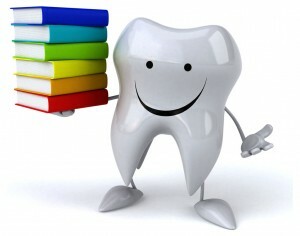 A dental crown or a bridge can then be placed on the implant giving the appearance of a natural tooth. Implants, however, only become a viable option once the patient’s jaw has stopped growing, which can be determined by a series of specialized x-rays. 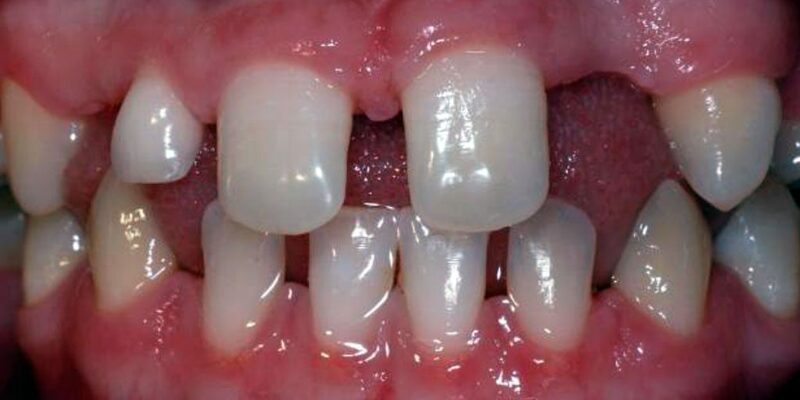 A bridge can also be a solution for filling the gap left by hypodontia. A traditional bridge consists of an artificial tooth (pontic) fixed into place by adhering it to the surface of the adjacent teeth (abutment teeth) on which crowns are placed. 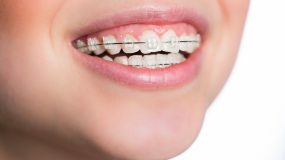 The bridge can also be removable (which is typically a temporary solution) or composite (a mix of fixed and partial) allowing for a more permanent option to be placed later when the child is older. 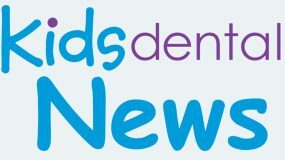 If your child has a delay in permanent tooth eruption or you suspect your child may be affected by hypodontia, contact the pediatric dental specialists at Kids Dental for an evaluation. At Kids Dental, we offer comprehensive, family-centered pediatric dental care in a child-friendly nurturing environment. 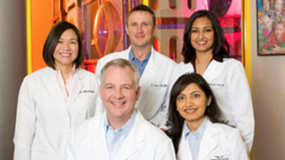 If you are looking for a place to call your dental home, please schedule a consultation with one of our pediatric dentists by completing an Online Appointment Request or calling either office.